You are here: Home / iPhone / What Do We Know About the iPhone 8? Each day brings us closer and closer to the iPhone 8’s 2017 launch, and that means the iPhone rumors have been heating up. Here’s what we know (or sort-of-know) about the upcoming 10th anniversary iPhone’s design and technology. 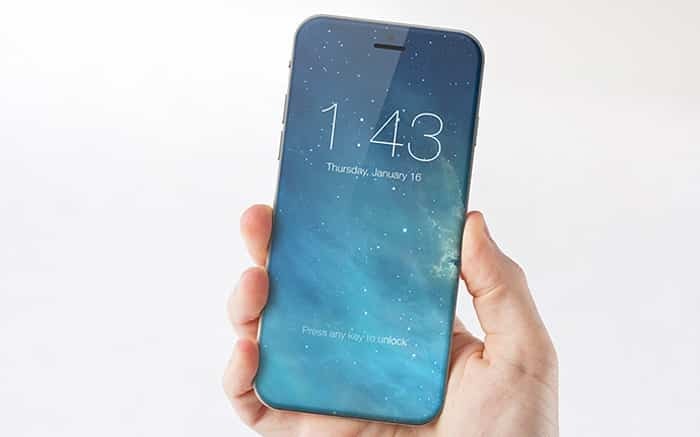 The Wall Street Journal reports that the iPhone 8 will feature a curved OLED display produced by Samsung. The long-time competitor will provide the screens for the new iPhone, at least initially. 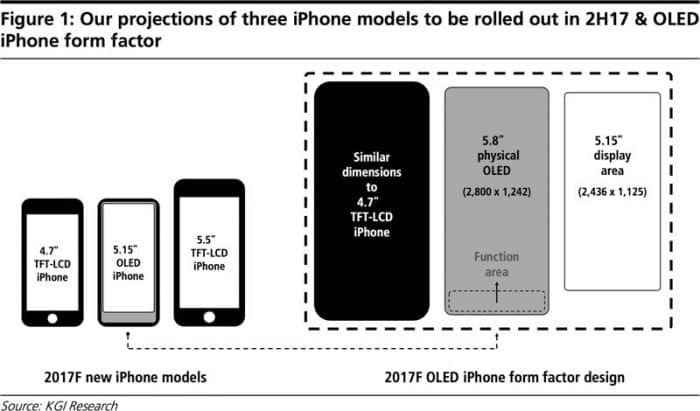 This may change as manufacturers like AU Optronics, Sharp, Japan Display bring curved OLED production capacity online in 2018, but for now it looks like Samsung will be providing the roughly 160 million OLED screens required for the iPhone 8’s launch. 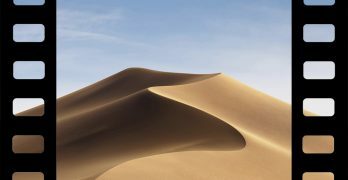 The Wall Street Journal also reports that Apple is considering ditching their proprietary Lightning connector in favor of industry-standard USB-C for both the new iPhone and “accessories.” This change would unify the connector scheme across the new iPhones and Mac Book Pros, ending a brief but awkward era in which new Mac Book Pro users need dongles to plug their iPhones into their laptops. And the problems the Lightning connector was designed to address, like asymmetrical plugs and bulky ports, are also solved by USB-C.
There’s good reason for Apple to make the switch to a cheap and widespread replacement, but our gut says this probably won’t happen, at least on the end of the cable that connects to the iPhone. We’re more likely to see USB-C show up on the end of the cable that connects to the charging block. This would solve the dongle issue with Mac Book Pros, and there’s little reason to avoid it. KGI Securities analyst Ming-Chi Kuo reports that Apple will release three sizes of iPhone in 2017. We’ll see a 4.7-inch model similar to the base iPhone, a 5.8-inch model with 5.15-inches of useable display, and a “Plus”-style 5.5-inch model with a fully-usable display surface. Based on Kuo’s predictions, the 5.8-inch model would sacrifice some of its screen real estate for a “function area” at the bottom of the display. This would allow users to interact without physical buttons. The result could be similar to the current Mac Book Pro’s Touch Bar: a display intended as touch interface. The 5.8″ model will also keep the same dimensions as the existing 4.7-inch iPhone by completely ditching bezels. Instead, we’d finally see the edge-to-edge glass iPhone that Johnny Ive has always wanted to make. Other rumors indicate this 5.8-inch model will be positioned as a “premium” offering alongside the 4.7-inch and 5.5-inch models. Features like all-glass construction, a flexible screen and a home-buttonless interface could appear only on this single premium model. 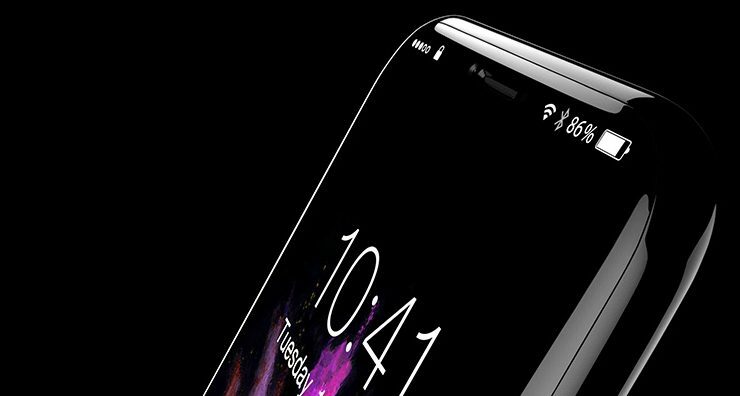 Rumors also suggest that Apple will finally be moving away from the aluminum chassis that has been featured on all iPhones since the iPhone 5, opting instead for an all-glass body. Yes, it seems the iPhone 8 will be pursuing the “slab of glass” aesthetic that Johnny Ive has long desired. Long-time Apple fans may remember the ill-fated glass back of the iPhone 4s. While attractive, the back was prone to shattering. But considering the long hiatus Apple took from glass construction after that issue, as well as improvements in glass technology, it’s likely we’ll see a more durable glass construction in the upcoming iPhone. 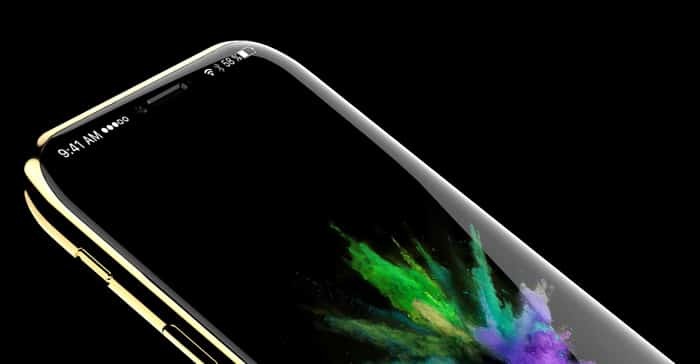 The Wall Street Journal also reports that, in order to keep with the smooth-glass aesthetic, the new iPhone will remove the physical home button. 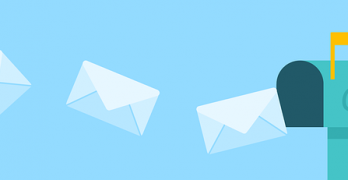 Instead of a button, we’ll get a touch-sensitive strip of screen that replaces the functionality of the current home button. While the WSJ only cites anonymous sources, this is supported by venerable analyst Ming Chi-Kuo of KGI Securities, who predicts a “function area” below the iPhone’s screen. But what about Touch ID? Well, Apple recently received a patent for a fingerprint sensor embedded in a display screen. The function area below the main screen will likely be capable of scanning your fingerprint, keeping Touch ID alive and well. The iPhone 8 has been rumored to also include a 3D-capable front-facing camera. 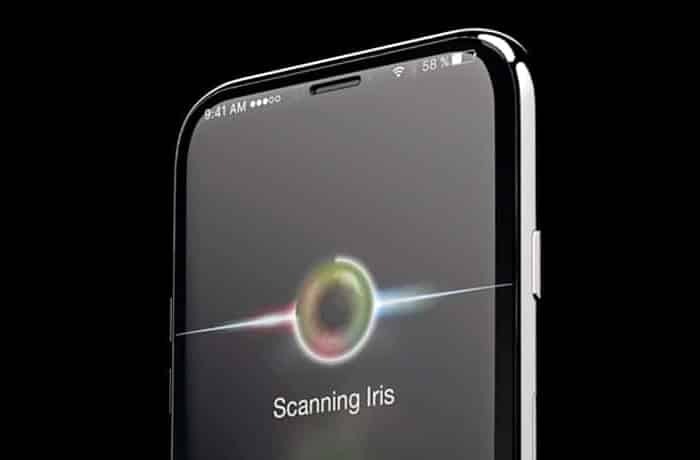 If it took advantage of Apple’s PrimeSense algorithms, this could enable the iPhone 8 to use 3D facial recognition or iris scanning to unlock your phone. All of the rumors agree that at least one of the new iPhones will sport wireless charging. Whether or not that feature will be limited to the “premium” 5.8-inch iPhone is up for debate. 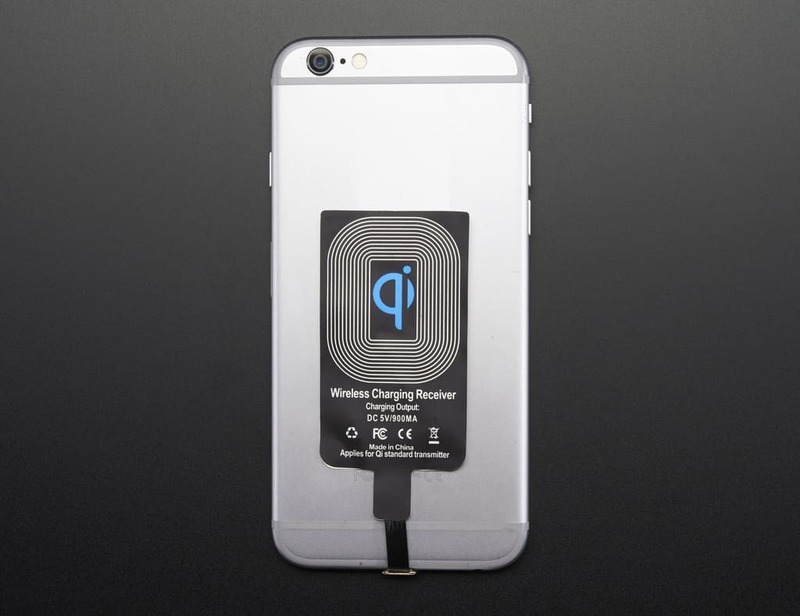 Rumors also disagree about the kind of wireless charging that will be supported by the iPhone. The majority of sources point to Qi-style “contact” charging would be available, much like that found on the Apple Watch. But Bloomberg has suggested that Apple has developed a long-range charging standard. This would allow the iPhone to top off its battery at a distance. It’s not clear what technology would support a longer-distance charging standard, though Apple’s recently-acquired wireless-charging experts may have made some headway on that problem. Even with the likely September 2017 release date months away, we still know quite a bit about the upcoming 10th anniversary iPhone 8. After a less-than-thrilling iPhone 7, it would be great to see Apple release a phone as jammed with new features as the rumors predict. Think we missed a good rumor? Let us know in the comments! Would Apple’s AR Glasses Be Better than Google Glass?